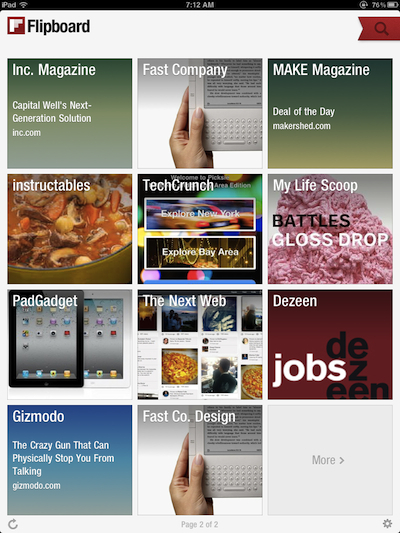 We woke to find Flipboard iPad news viewer has been updated. All good news for those that love their news presented visually and quick to get through. 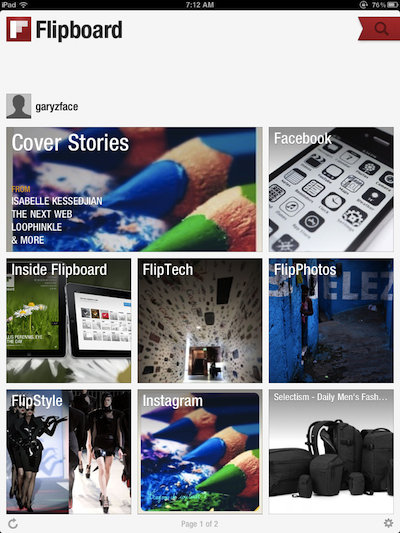 First up is the addition to the opening page of Flipboard – Cover Stories! No worries, that addition isn’t going to cut the quantity of news you can have showing, the updated Flipboard supports another page to add your favorite feeds to. We are wondering if there was an update to the images as well. The Flipboard update says that they have improved full screen images, our thoughts are that the overview looks much crisper too. Very nice! Lastly, Flipboard gets International news. Through the red flag in the upper corner, where you normally choose which news to have showing on the pages, a country option is now available. Choose the content guides your interested in: UK, Ireland, Canada, Australia, France, Hong Kong and Taiwan.